Cloverdale offers a unique answer to composting mortalities and other organic materials. 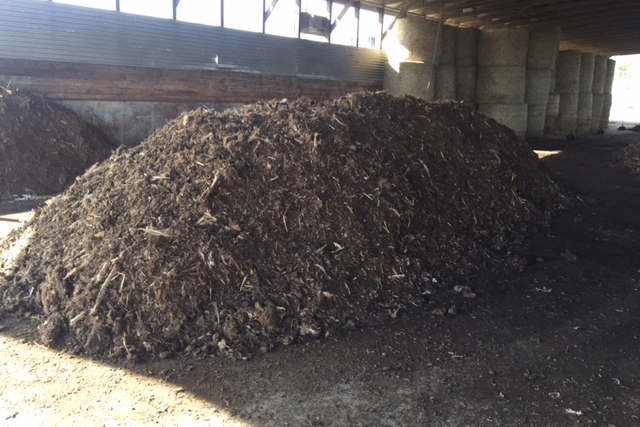 One of the challenges of starting a compost ration is controlling the environment. Excessive moisture and cold temperatures can prevent even the best-balanced rations from becoming aerobic. 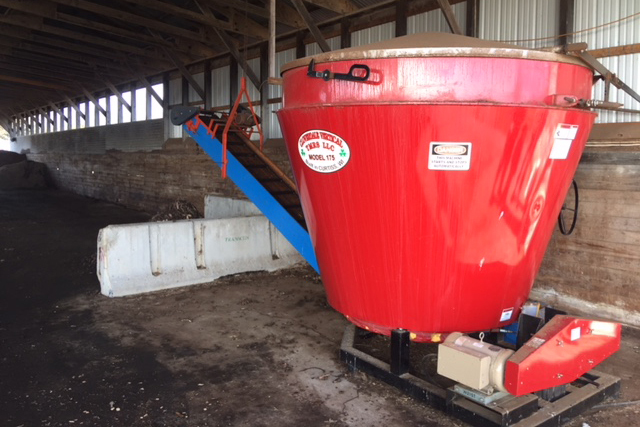 Cloverdale offers a completely enclosed compost mixer that protects the ration from the environment. The manually operated cover can be raised to add ingredients and lower to prevent rain and snow from entering the ration. In cold weather conditions the heating process in new rations can be especially difficult to start. Cloverdale compost mixers have covers, floors and side walls enclosed with two inches of foam insulation. This helps maintain the heat generated by the composting process. Two electric heaters are installed under the floor that can be used to help preheat the ration. If excessive heat is being generated, the mixer can be operated with the cover open. Oxygen can be mixed back into the ration and excessive heat drained off. The standard timer, allows the mixer to run for four minutes every four hours, but many other run sequences are available. 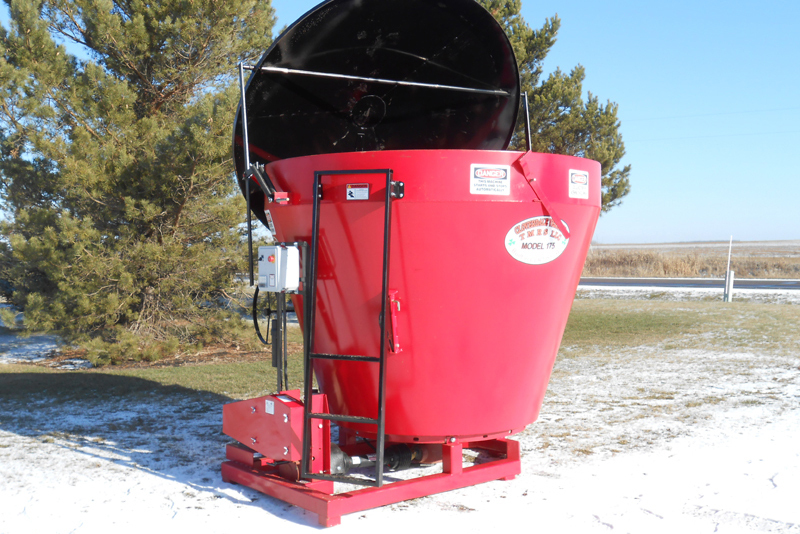 Compost mixers can be set up to operate with either single or three phase power. 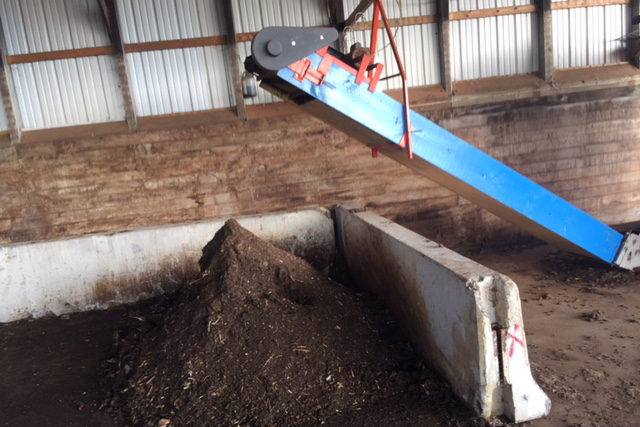 Because of the many different composting applications, we offer many different sizes of insulated and non-insulated mixers. Stationary and tractor power units are also available with many custom options to choose from. Standard insulated unit is 175 cu.ft. Weigh scales are available to duplicate a perfect carbon to nitrogen balance. Enclosed mixing chamber, helps maintain the correct moisture. Insulated floor, side walls and cover, control the proper temperature. Electric heaters in the floor help start the heating process. Mixer is designed to process large, bulky ingredients. Auger is designed to thoroughly mix ingredients and bring oxygen into the ration.